A murder is announced and will take place on Friday, October 29th, at Little Paddocks, at 6:30 p.m. Friends, please accept this, the only intimation. Now who, Miss Lemon asks, could resist such a tempting little advert? Certainly not any of the residents of Chipping Cleghorn, who show up, each in turn, at the home of Letitia Blacklock, expecting at the very least to get a decent glass of sherry, if not a game of murder. There's Mrs. Swettenham -- who finds the advertisement too strange: "Not at all like Letitia Blacklock, who always seems to me such a sensible woman" -- and her son, Edmund. The Easterbrooks (Colonel and Mrs.), Bunch Harmon, the vicar's wife, and the cozily situated Miss Hinchcliffe and Miss Murgatroyd, as well as some quite distant cousins of Miss Blacklock and her hysterical cook Mitzi, from somewhere in middle Europe. When the clock chimes half past six, however, the murder turns out to be no game at all. The lights go out, shots are fired, and a bullet finds its mark in the body of one Rudi Scherz, a Swiss national working at the Royal Spa Hotel in Mendenham Wells. Two others barely miss Miss Blacklock, the unsuspecting hostess. The obvious questions for Inspector Craddock are these: 1) Who placed the notice announcing the murder for all and sundry to see? 2) What was Rudi Scherz doing at Little Paddocks? 3) Was someone trying to kill Miss Blacklock? 4) What on earth is the motive? True to Agatha Christie in top form, A Murder Is Announced folds into a classically perplexing puzzle. A little investigating reveals that Miss Blacklock is likely to inherit a large sum of money, should her employer's widow predecease Miss Blacklock. And that, my dear readers, seems likely to happen soon. Of course it takes a villager to know a village, and so Miss Jane Marple descends upon Chipping Cleghorn, armed with her knitting needles and the village parallels required to untangle this mysterious small-town murder. Mrs. Christie has oft been criticized (as recently as in the newly published Talking About Detective Fiction by P.D. James) for her stereotyped characters and sleight of hand. Miss Lemon thinks this unfair. What many of Mrs. Christie's critics fail to recognize is her mastery at interpreting character quirks, her gift for writing snappy dialogue and most of all, her ingenious plotting skills. All of these graces are present here. Like that Old Bailey Hack, Horace Rumpole, Miss Lemon sometimes finds it restorative to quote a bit of poetry when faced with a puzzling set of circumstances. Certainly so must have Julian Symons, the creative mastermind behind a string of great whodunits, including The Plot Against Roger Rider, The Blackheath Poisonings and The Name of Annabel Lee. 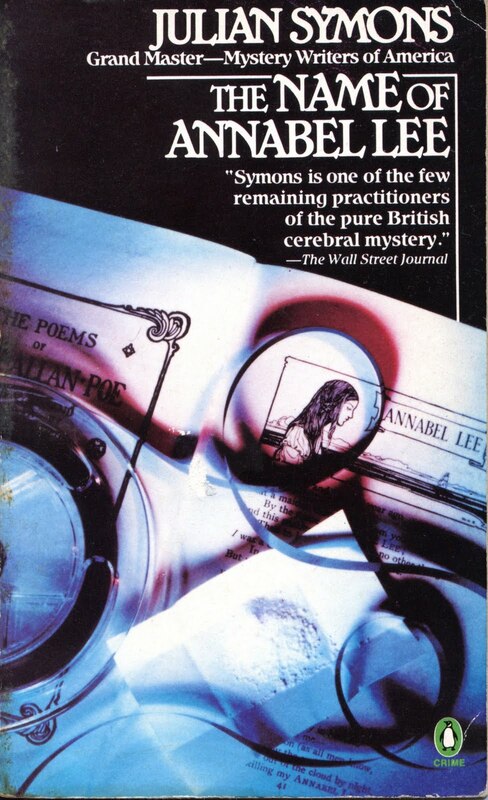 For Mr. Symons's poetry professor turned sleuth (the excellently named Dudley Potter), however, the life and creative works of Edgar Allan Poe turn from a scholarly pursuit into something a bit more sinister. Dudley Potter, like countless academics before him, had given up on love when he meets, seemingly by chance, the aptly named Annabel Lee Featherby. In a blink, the pair end up living together in their inevitable 'Kingdom by the Sea' ... and then things go terribly wrong. Dudley wakes one morning to discover a vicious hangover and a note on the mantlepiece. His love envied by the angels above is gone. With nothing more than the clues in Poe's work to go by, Dudley tries to find her. His quest, not surprisingly, reveals more closeted skeletons than even Poe can lay claim to. So, my dear readers, if you like poetry and mystery, and the two twined together, there's little doubt you shall like The Name of Annabel Lee. Interestingly, Mr. Symons seems to have a bit in common with his protagonist. He was a poet and literary critic of some renown, as well as the founding editor of Twentieth Century Verse, a London-based poetry journal that rivaled New Verse in its heyday. 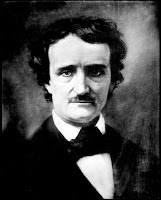 He was also, like his fictional protege, a visiting professor at Amherst College in Massachusetts, and, not ironically, the 1961 and 1973 recipient of the Mystery Writers of America Edgar Allan Poe Award. He was the 1982 MWA grandmaster. Mr. Symons departed this earthly realm on 19 November 1994.